With a degree in marketing and a background in servicing supercars, Jessica brings a unique perspective and skill set to the financial industry. Originally from Texas,Jessica joined the BPG team shortly after her move to Portland in 2014 and discovered her passion for planning. As VP of Retirement Plan Services, Jessica’s time is spent working with both business owners and families to design successful plans for retirement and for their futures. On the business side, she works with owners to design retirement plans for their company’s distinctive needs, from concept to implementation to ongoing management. 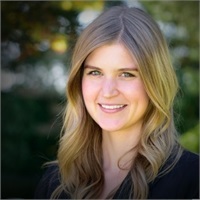 For the business, Jessica provides strategic plan benchmarking and investment review, plan design evaluation, and support in plan administration. For the employees, she delivers ongoing education for understanding the plan, identifying suitable investment options, and the importance of savings to connect the dots between now and retirement. When working with individuals and families, BPG’s Financial Planning process allows Jessica to create comprehensive, individualized plans that focus on goals and center around financial independence. She truly enjoys working with clients to design a plan that can provide a real process and guide for the future. When she isn’t planning, you’ll find Jessica in Southeast Portland, where she lives with her boyfriend, Kelly and her dog, Sadie. She enjoys reading, Portland summers, riding motorcycles, and exploring Oregon and the rest of the world.